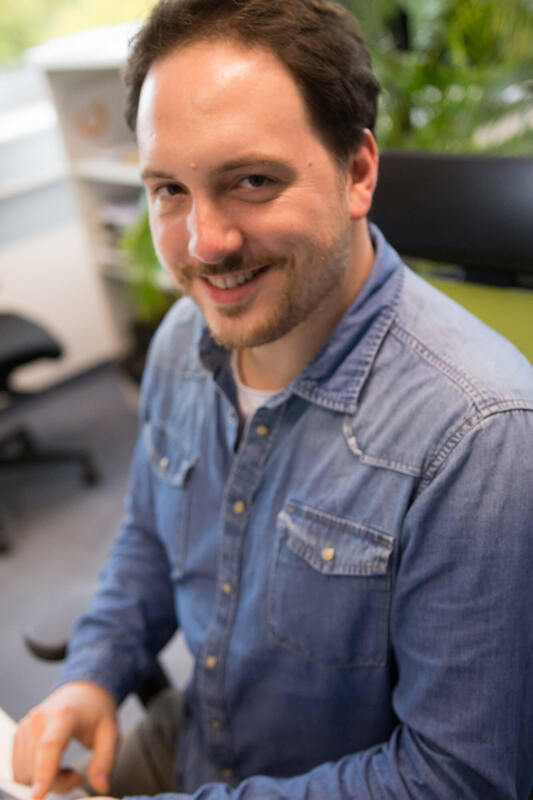 Andreas Popescu joined MailStore in March 2017 as Program Manager. He grew up in Krefeld in the Rhineland area. Being a historian and IT nerd at the same time, he’s interested in the past and the future of his homeland. He recently became a father of a daughter and lives with his family in the town of Moers. You’re likely to face numerous challenges when implementing project management in an SME. Listing every challenge here would go beyond the scope of this blog. A key task, however, is to adapt project management to your own company. Before starting to deal with possible methods or other issues relating to content, you need to answer one initial key question: Which tasks do you want to manage in terms of your project management? What’s it all for? Or, in PRINCE2 terms: What is the business case and the benefit expected for the company? 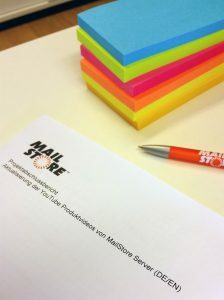 MailStore develops standard software for email archiving and distributes it primarily via our specialist retail partners. We are therefore not involved in implementing large-scale and complex integration projects for customers. Instead, we have a growing number of internal projects that mainly concern the areas of change or innovation. These include e.g. the migration of the company website to a new technical platform or the production of new product videos. Why does this require project management? Can’t the employees of the respective departments manage the various tasks as part of their day-to-day activities? The answer to this question is an unequivocal ‘no’. The reason is as follows: These projects are a) too complex and b) too critically important for the company to implement them ‘on the side.’ Here is an example: A change of platform is casually implemented ‘on the side’ for the company website, and something goes wrong or is forgotten. The website is offline for several days. But a large proportion of revenue-related orders are conducted over the website – you can imagine the consequences yourself. The need and focus at MailStore clearly involve the smooth management of internal projects. That is the business case. Once you know the area of application, you need to ask the following question: How do we want to handle projects? In other words, which method(s) do we require? Classic project management standards in accordance with PRINCE2 or PMI? Could agile project management be the solution? Or do we require a mixture of the two: so-called hybrid project management? Once you start addressing these issues, you’re faced with a vast arsenal of knowledge, methods, and cultural aspects. But what suits my SME? Do I need risk analyses and control plans, or would I prefer to work according to Scrum? The first thing to do is to dispense with dogmas that favor classic or agile methods. Both directions have their strengths and weaknesses, although recently the high success rate of agile methods has been emphasized in the scientific area. 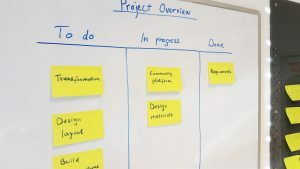 At MailStore, the nature of the previously mentioned projects (internal change/innovation projects) currently encourages a ‘hybrid approach to the practice of project management. This means that method elements from both the classic and agile toolbox are selected and combined as required. How does this work? 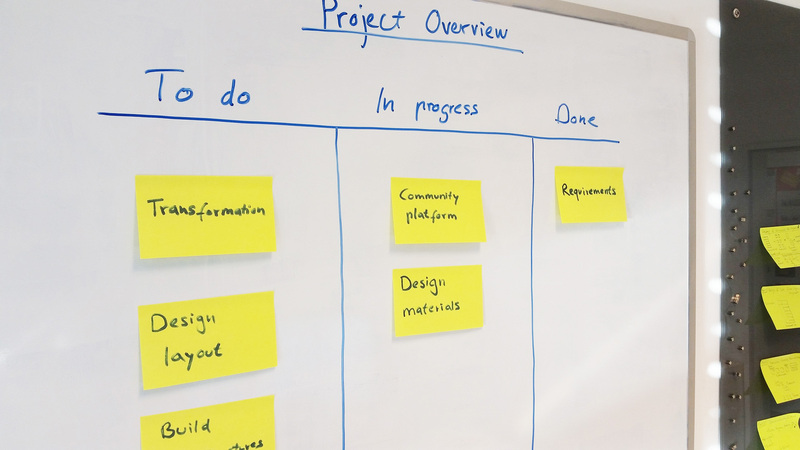 Projects are worked on in sprints (agile), for example, and are controlled using kanban boards (agile). However, final reports (classic) and reports on the time required (classic) are also generated. The reason for this mix of methods hardly comes as a surprise: it all depends on the project. Not all approaches and methods are equally useful for all projects. As a result of all of this, we learn a great deal by encountering many different ways of working. However, there’s a price to pay for this flexibility: There is no project management manual, no set of standards that we can refer to before the start of each project in order to see how to implement a certain project. Forecast: Are project management standards likely to be developed at MailStore? A project management manual may emerge following a vast range of projects and many lessons learned, and perhaps this manual will identify certain recurring patterns in our projects and document methods and tools that have proven to be effective for specific requirements. However, it is doubtful whether this manual would be binding. It is more likely to be a collection of ‘best practices’ for projects for the purpose of preparing projects more simply and quickly. Particularly for SMEs, the question arises as to whether the one-sided commitment to a single project management standard/method offers the necessary openness for further development that our present-day dynamic business environment requires. What has your experience been with projects and the use of project management methods? Would you like to read more about these topics in future? Here you will find another blog post about project management.